Captain America's wise words - Experience It! 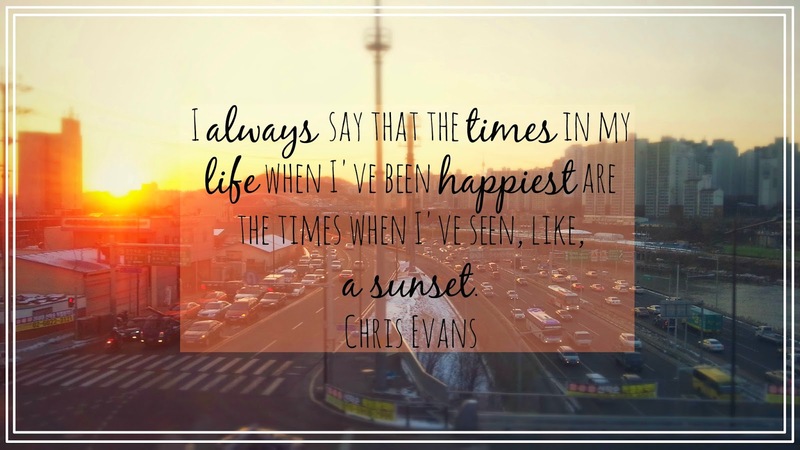 I've been looking for a good quote to describe my feelings toward sunsets and I think I share the same feelings as CAPTAIN AMERICA! There are times when I've felt so amazingly happy just by looking at the sun setting over a city, behind a mountain or valley. The sky is full of color then, almost like being alive for the last time before going to bed. Sunset have long been my favorite time of day and this picture gives you a good idea why I feel like that. This picture was taken in Seoul, South Korea while I was on a metro train, heading towards Lotte world.